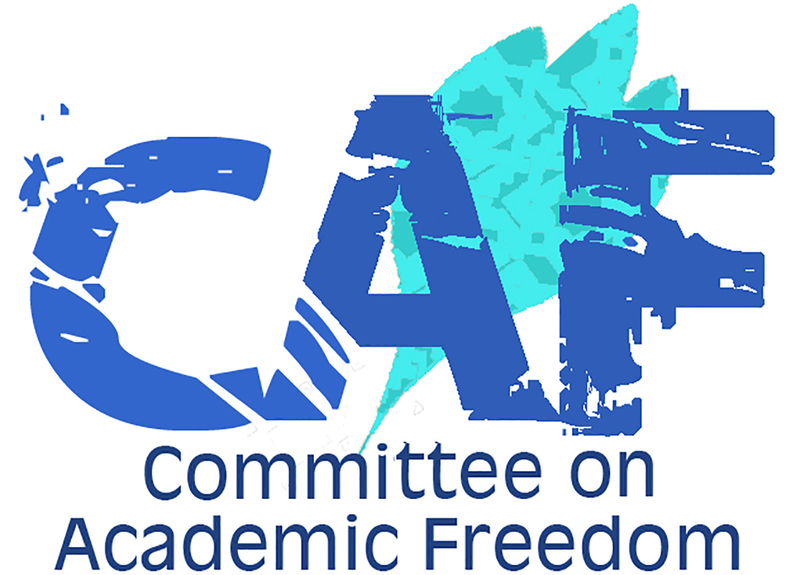 We write on behalf of the Middle East Studies Association (MESA) of North America and its Committee on Academic Freedom to express our alarm at the recent prosecution that has been initiated against scholars who signed the declaration "We will not be a party to this crime," commonly referred to as the “Peace Petition.” In numerous previous letters, we have criticized the broad pattern of persecution of academics through the repression of academic freedom and freedom of expression in Turkey. We once again write to respectfully urge your government to desist from applying an expansive interpretation of terrorism laws—one that extends to petition signatories and others engaging in peaceful advocacy—that results in stifling dissent. We understand that a new indictment was issued on 23 September 2017 against academics from İstanbul, Galatasaray, Boğaziçi, Mimar Sinan, Nişantaşı and Yeni Yüzyıl Universities who signed the Peace Petition. The academics are being charged with "propagandizing for a terrorist organization" and the prosecutor’s office has requested 7.5 years’ imprisonment if convicted. The Istanbul Chief Prosecutor, İsmet Bozkurt, states in the bill of indictment that the peace declaration was “public propaganda for the Kurdistan Worker's Party/Kurdistan Communities Union (PKK/KCK) terrorist organization.” The indictment reads, in part: "It has been revealed that the real purpose of the declaration is to build public support to stop military operations carried out in order to secure peace and safety of the citizens and clean the areas, where the PKK/KCK terrorist organization has declared so-called 'self-governance.’ On these grounds, the Chief Republic Prosecutor has launched an investigation under ‘propagandizing for the terrorist organization.’” The indictment accuses the academics of starting a smear campaign against the Turkish state in coordination with the PKK/KCK, “inverting reality” to legitimize and incite terrorist violence, and violating “the honor, dignity, reputation and rights of the state” through domestic and international propaganda. We are taken aback by the fact that the indictment has numerous factual errors and, in its references to the English version of the petition, translation mistakes that seem designed deliberately to strengthen the prosecutor’s claims. For example, in the indictment, the phrase “Kurdish provinces” in the original text of the English version of the Peace Petition is mistranslated into Turkish as “Kurdistan,” a de facto banned word long equated with terrorism in state parlance, to make a case for the prosecutor’s argument that the phrasing of the petition echoed the slogans of the PKK/KCK. The indictment also mentions, as evidence of the academics’ alleged international smear campaign, Chris Stephenson, formerly a professor at Bilgi University, who was detained for carrying “terrorist propaganda” materials to an İstanbul courthouse in 2016 when he attended the arraignment of three academics who had been arrested for signing the Peace Petition. Although Stephenson was acquitted in the first hearing of his trial in 2016, Prosecutor Bozkurt’s indictment cites the original charges against Stephenson—for which he was found not guilty—as evidence of an organized international defamation campaign against the Turkish state. The indictment also repeats the outlandish claim, made in charges against four signatories in a previous case, that the peace petition is evidence of the signatories’ coordination with the PKK. The government apparently bases this claim on the fact that an individual associated with the PKK, Bese Hozat, earlier called for intellectuals to support Kurdish self-governance. This spurious allegation has no basis in fact. The claim that this petition, which simply calls on the government to desist from military action in the Kurdish provinces and resume a peace process, amounts to support for terrorism represents a staggering threat to freedom of expression and academic freedom in Turkey. By the government’s logic, any speech, research, writing, opinion, organizing or demonstration supportive of Kurdish rights may be conflated with support for terrorism. Indeed, the recent conviction in absentia of Wall Street Journal reporter Ayla Albayrak on “terrorist propaganda” charges for reporting objectively on the activities of Turkish security forces in southeastern Turkey illustrates the degree to which this overbroad definition of support for terrorism is stifling access to information in Turkey. As we have previously noted, the scope of the persecution directed against the 1128 signatories of the Peace Petition is astonishing. We have never before amassed such a record of violations of academic freedom and freedom of expression in such a short period in the history of our activities in defense of academic freedom in the countries of the Middle East. This record of repression and intimidation of academics is all the more disturbing when considered in light of Turkey’s reputation, until recently, of aspiring to maintain a standard of protection of civil and political rights in keeping with the European Convention of Human Rights. The invocation of anti-terrorism laws to prosecute critics of your government and supporters of Kurdish rights has already garnered international criticism. Against this backdrop, politically motivated prosecutions signal the deliberate intention of your government to abandon basic human rights protections under Turkish law, in direct violation of Turkey’s international obligations. We respectfully ask that your government take immediate steps to drop all criminal charges against academics who signed the peace petition. We also ask that your government desist from using antiterrorism laws as a pretext to arrest academics and broadening the definition of terrorism to encompass the lawful and protected activities of academics. In light of mounting international condemnation of the erosion of democratic rights and freedoms under your administration, taking steps to protect academic freedom, freedom of expression and freedom of association would be an important step to address growing concerns about human rights in Turkey.